Security and privacy issues have become one of the major concerns of many individuals all around the world. Securing our phone calls, text messages, and other private data has become a worrying concern of millions and is indeed the need of the hour. 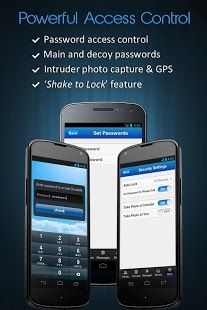 CoverMe is a perfect app which helps its users carry out all the security functions mentioned above. The app uses high-tech encryption technology to protect valuable information of individuals and thus provides users with the much needed peace of mind. 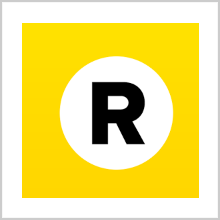 This app has been developed and launched by CoverMe Inc., for the Android. The app requires Android software version 2.3 and above for its efficient functioning. 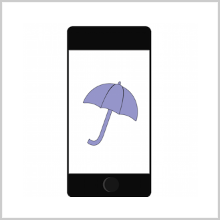 CoverMe provides users with the much needed security in an easy ad fast manner. 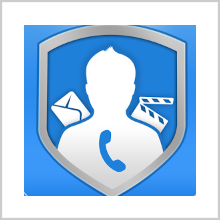 CoverMe is an ultimate secure messaging app through which the users can make phone calls securely, text in private, and share videos and images in a secure manner. The app also has other features such as secretive vaultsand the ability to send self-destruction messages to the users mobile to protect valuable information from government prying and other intruders. These advanced features provides the users with the much needed protection to their data and personal information through encryption. Users can also lock up their contacts and can make encrypted phone calls by locking all the information in ‘Safe Vaults’. The app has been designed in a user-friendly manner and is very simple to use. CoverMe helps in ensuring that transparency into your personal information is not an option for those who are trying to spy. Each feature in the app is clearly labeled and has been distinguished in eye popping colors and they are self-explanatory as well. The app is very easy to navigate and has been designed in a clutter-free manner. Users can make secure phone calls without the worry of being tapped into. The app coms with a vault feature where the users can store their contacts, documents, passwords, messages, and even call log information. They can also store their personal photos and videos. 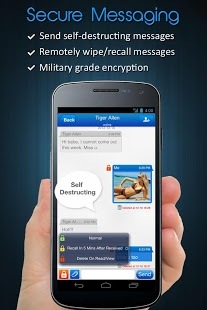 Users can also send messages of self-destruction to their mobile phones to destroy any particular piece of information. Users can wipe out the messages remotely from anywhere. The app also provides decoy password features. The access to the app itself can be controlled with the help of a password. The app features VOIP encryption for voice calls; this encryption has been done similar to the encryption for military calls. The app also has a feature for capturing pictures of intruders. Users can enjoy secure access to their social network profiles and other sites. Users can also create a group for secure sharing of messages and texts. 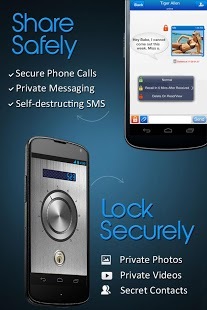 CoverMe is an excellent private security app for your Android mobile devices. 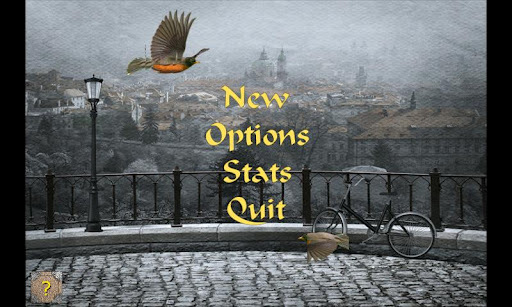 The app is available for free and can be downloaded easily from the Google Play store. Download the app and protect your privacy rights in a cost-efficient manner.